Thank you, for all that you are doing in our lives, for us being alive, being called yours, learning and growing but above all walking in purpose to serve. For those who don’t know their purpose I pray that they shall draw closer to you to receive the in pour and direction needed to walk in purpose and build on intimacy with you. So, help us Father in our walks, we pray and believe that each thing that happens is for a reason and that our trust and faith in you shall not be shaken despite what is shown in the natural. BOUNDARIES, a word that has been on my heart for some time and studying it in training caused me to delve deeper to look at its importance as well as my own personal boundaries. Boundaries can be defined as a line which marks the limits of an area, a dividing line. To have protection over what you don’t want tampered with or yourself to keep out negative people and thoughts that will cause a negative effect on you. Now linking to interpersonal relationships with others it gives us the peace of mind we need when we can take control of what we want around us, as well as in our personal space. We are all unique, with different identities, feelings, morals and responsibilities necessary to function day to day. Healthy boundaries I believe we must all have, as well as respecting the personal boundaries others have as well. You can’t expect to have boundaries set in place but then not respect other people’s boundaries, that is unfair and double standards living. Boundaries when you think about it relates to self and self- control in how we can control what comes near us, to control our desires, as well as being able to set in place what needs to be worked on and what doesn’t bring forth growth. Not everything or everyone is healthy for you and so to make sure we are secure and sane as well as at peace, we must make sure that we look after ourselves well, not just physically, emotionally and spiritually too above all. What is not worked on that doesn’t bear forth fruit, can damage your spirit and way of doing things, I say this because you then become comfortable in being complacent to things you feel can’t be changed but should just be coped with and that is not the right mindset to have at all. Bearing in mind there are those people who do not have boundaries and get carried away thinking that, just because they do not have boundaries must mean others don’t too. If you are not careful and you are weak mentally and spiritually, you will be controlled by their selfish tactics and not only is this very unhealthy but draining to you and does no good in helping you become who God wants you to become. Rather you’re a puppet on strings manipulated by the actions of others, who at times may not always know better or be aware of what they are doing. You are free in Christ, a new creation in Him so do not allow yourself to be caged by the actions of others, who may or may not always agree with what you do and believe is best for YOU. ‘You have your personal space and either they respect your boundaries or stay away’ it is that simple because you can’t let just anyone close and you can’t entertain everything others entertain too. Protect your eye gates to let what enters your spirit help in your growth and relationship with God. Boundaries set need to be boundaries that will help you with good motives to have that boundary in place. For example, one of your boundaries might be ‘I will guard my heart from those who don’t have any boundaries set in their own lives and not let just anyone close to me.’ Your personal space is yours to use as you wish and with that though not everyone will understand, at least you do and stand by it to protect yourself. There can be boundaries that are sinful that cause you to be selfish to set people far away from you simply because you just don’t like them from ‘judgement’. Or because you just want to hurt them, you punish them by excluding them from things you and others plan. In the kingdom community if your boundaries are group related to keep people out, then check your heart and motives because not only is that unhealthy it can affect those who don’t feel loved, supported or valued. In my training, we were discussing why the need of boundaries is important not only in this field but in all areas of our lives. As a believer who does many different things I have boundaries in place, firstly in my spiritual walk, to let the worldly influences and people I once knew as worldly friends stay away. Because no matter how strong you are, you are not perfect and can fall. So do not put yourself in situations where you can fall and then blame it on others, you should know better (said with love J) A good scripture to use with this is 2 Corinthians 6:14 ‘Children of the light have no fellowship with darkness and are separate from the world.’ So with the word saying this why would you allow yourself to be open to just anyone and anything that can cause darkness to creep in? Yes, it is good to exude love, kindness, and support to others, we are believers, God is love and we must be examples of His love here on earth. BUT that is not to say that we must let our guard down to have the worldly type of living and character and then say we are His, we are either in darkness or light not in between because we are then lukewarm. Be wise in your boundary setting and use wisdom for how you apply it. Know that healthy boundaries links in with healthy self- control. Boundaries are key to healthy living spiritually and peace of mind, and limit negative thoughts as well as negative people. Not to say they won’t come in numbers, but you will know how to deal with them. Boundaries help you not to sin, maintain respect and walk in accordance to the word of God and not man. Check your heart and motives when you set boundaries, are they pure and of good intentions? Boundaries keep you safe and alert for what is going on and how to best avoid what can bring harm, for protection as well as peace as well. Knowing when to say yes as well as when to say no, not overstretching yourself, because when you do that it will be you to handle the consequences not those who you kept saying yes to. You feel it more and being in these situations can be very draining. Accept that others have boundaries, even if you don’t agree with all of them. 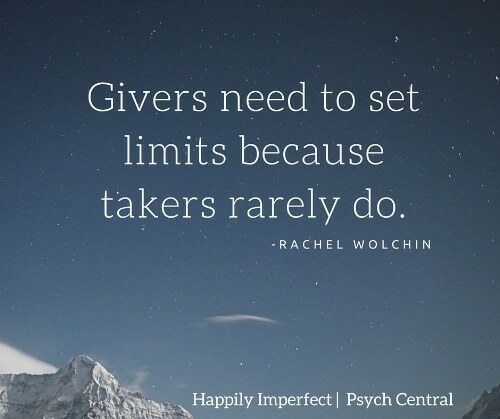 But don’t make people feel as though they owe you anything and that their boundaries aren’t good enough. It is not your place to say that. We have a right to have boundaries, with the freedom to grow and do what is right for us. Self-control is a fruit of the spirit for believers, Galatians 5:22-23 but is not something unbelievers in the dark can live by, they are controlled by sin and lost in their ways. The importance of setting our boundaries is also saying that we are taking responsibilities for our own actions, which in turn leads to us making the right decisions in our lives. We are not being selfish but we are saying that we need to control ourselves and what we allow close. 1 Corinthians 15:33 ‘Do not be deceived and misled, evil companionship corrupts and depraves good manners and morals and character.’ Don’t allow yourself to be used and abused. REMEMBER BOUNDARIES ARE SET IN PLACE TO PROTECT YOUR SPACE AND EVEN THOUGH NOT EVERYONE WILL RESPECT THEM DOESN’T MEAN THEY ARE WRONG.